$50 VISA GIFT CARD GIVEAWAY!!!! Enter to win a $100 VISA Git Card! There will be 2 winners selected on June 11th, 2014. The more entries you get in, the better chance you have of winning. Come back each day to submit extra entries! Thank you for entering! Have fun and good luck! My 5 month old princess has been teething for a while now. Anything that she can grab and put into her mouth, she will do so. The Munchkin fresh food feeders are intended for feeding. I had heard from a couple of mothers that they work wonders for teething babies. On the down side, I have also heard that they are a disaster. So today we put them to the test! 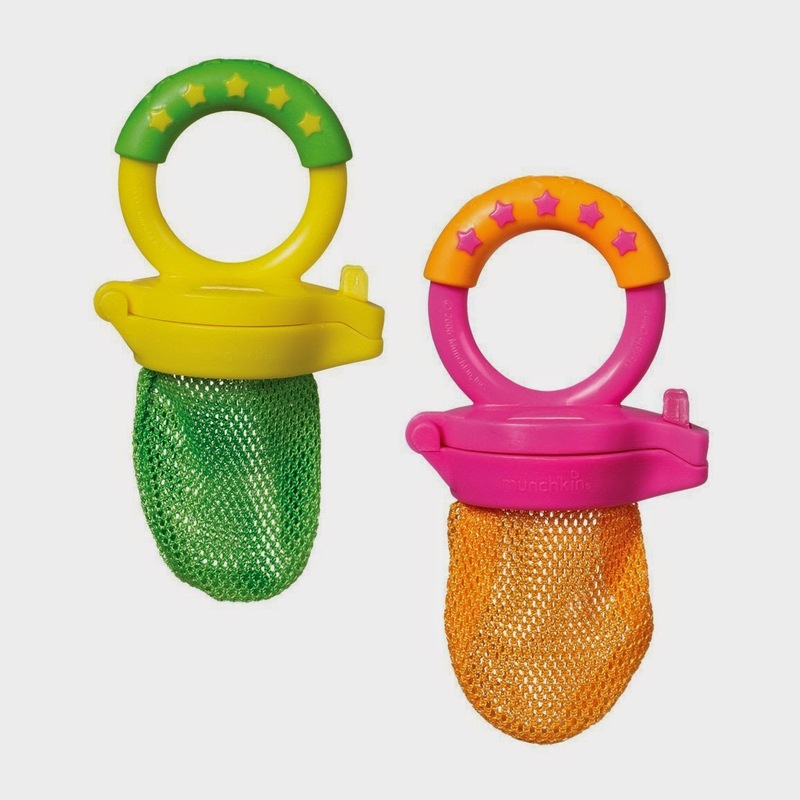 The feeders are small and light, which make them perfect for little hands! My little one is only 5 months, so her hand eye coordination is not too great. She did have a hard time putting it into her mouth by herself, while holding the handle. We started off with peaches. I just bought a bag of frozen ones from my local Publix. I opened the feeder, put the peach in and closed it back. Her first bite startled her because it was very cold. Then she loved it! I held it for her most of the time, because as I said before, she had a hard time finding her mouth with it. After she realized that she could hold the mesh, she had an easier time doing it by herself. The chewing and the cold felt amazing on her gums. The only con that I could find with these feeders, were that they can be a bit messy. It was very easy to clean. You can just wash out and throw in the dishwasher! 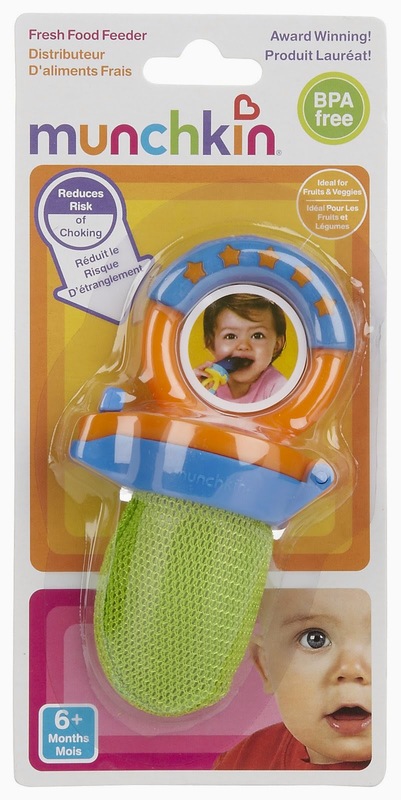 All in all, using it as a teether, I would recommend it! 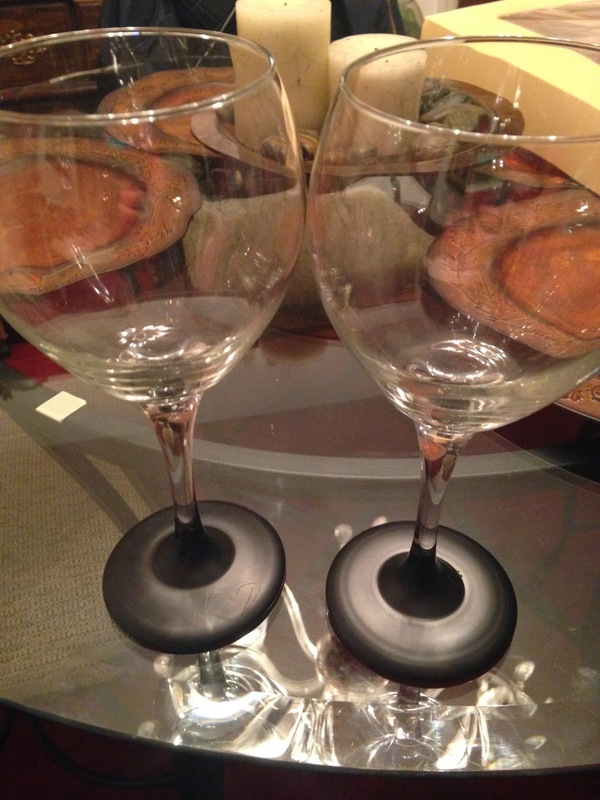 Win a pair of these BEAUTIFUL wine glasses!!! These are perfect for girls night, date night, social events, gifts or even dinner! Never get your glasses mixed up again! Have fun doodling different designs and letting the wine bring out your artistic side! 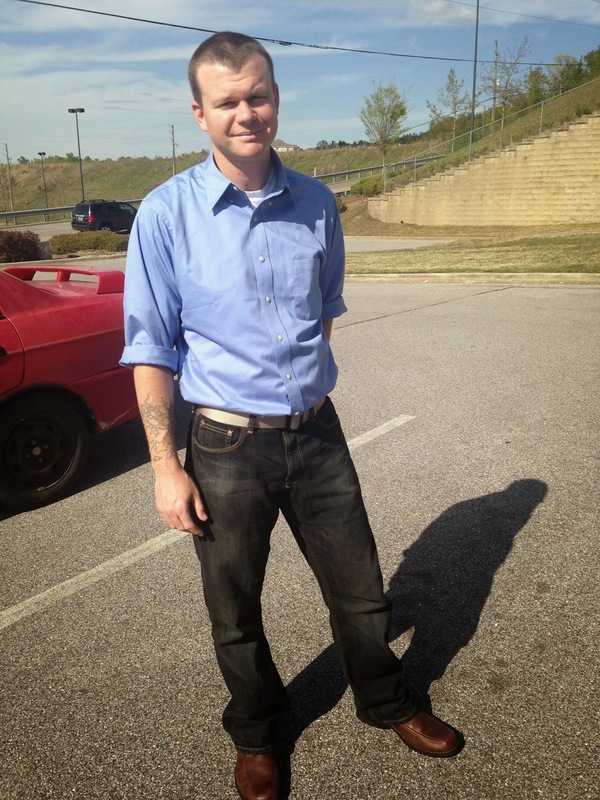 I live in a small town called Alabaster, AL, it is about 20 minutes south of Birmingham. I am 27 years young and currently a stay at home mother! 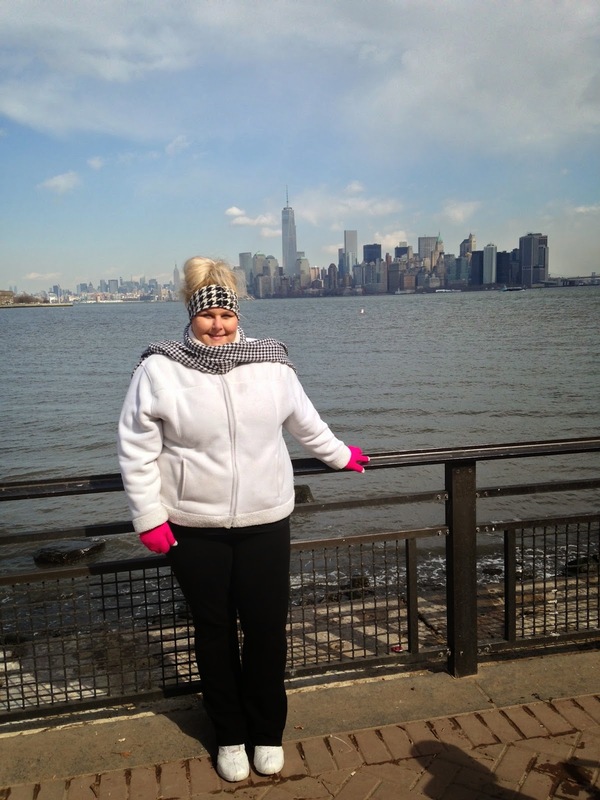 I am currently in school, with hopes to be an RN one day soon! I have been married for 5 years to my best friend! We have two beautiful children! They amaze me more and more everyday. They are the reason that I strive to be a better person! God put me on this Earth to be their mommy and I enjoy every second of it! God, family and friends will always come first in my life! I have a very close relationship with my mother. She is one of my best friends! I have two younger sisters, Caitlyn (14) and Sara Grace (7). In my house we love Alabama Football! ROLL TIDE! I also LOVE spending my free time making crafts or trying new recipes! I hope to publish many recipes and DIY tutorial on here soon! In addition to recipes and tutorials, I will also be hosting giveaways, reviewing products and sharing exciting adventures that happens in our lives! Sit back with your cup of coffee or your glass of wine and start browsing! There will be much more added in the coming days! If you have any suggestions, please comment and let me know! If I have helped you, feel free to make a donation!